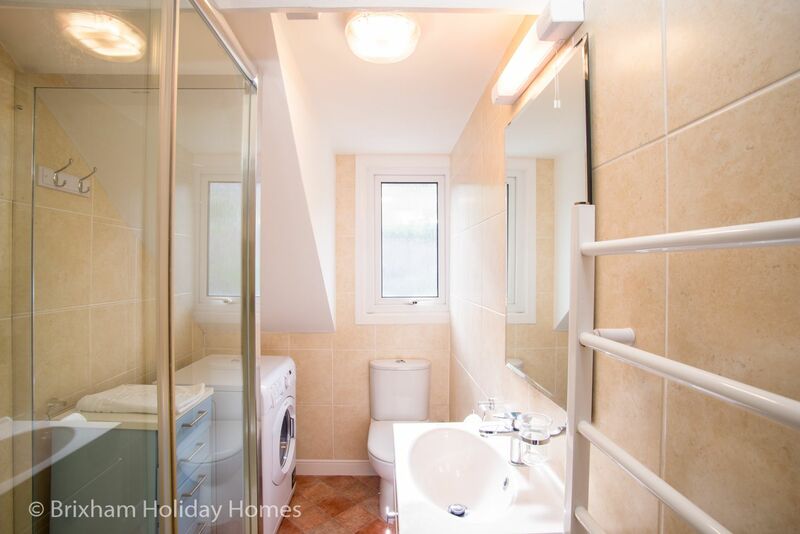 Marina View is a bright, modern self-catering holiday apartment in Brixham with stunning marina & sea views. 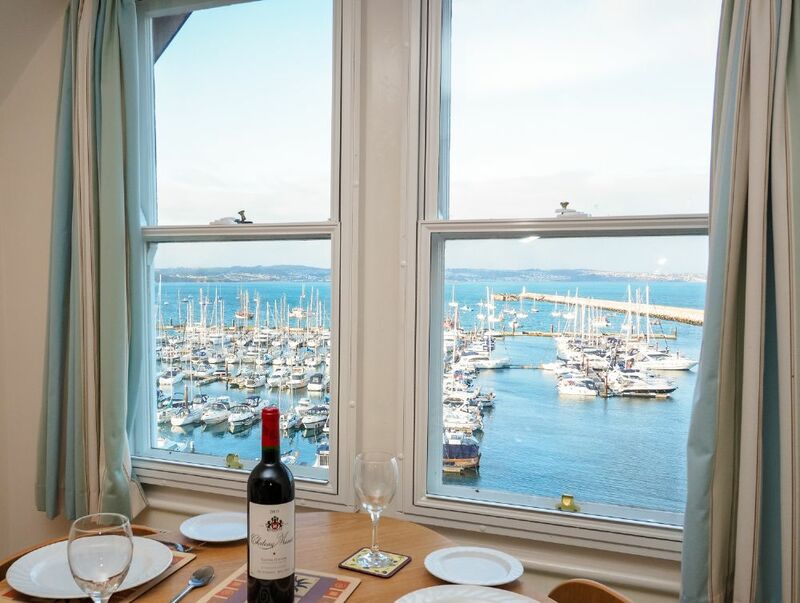 Marina View is a 2 bedroom (sleeps 4) top floor self-catering holiday apartment in Brixham with stunning marina & sea views from the lounge and master bedroom. 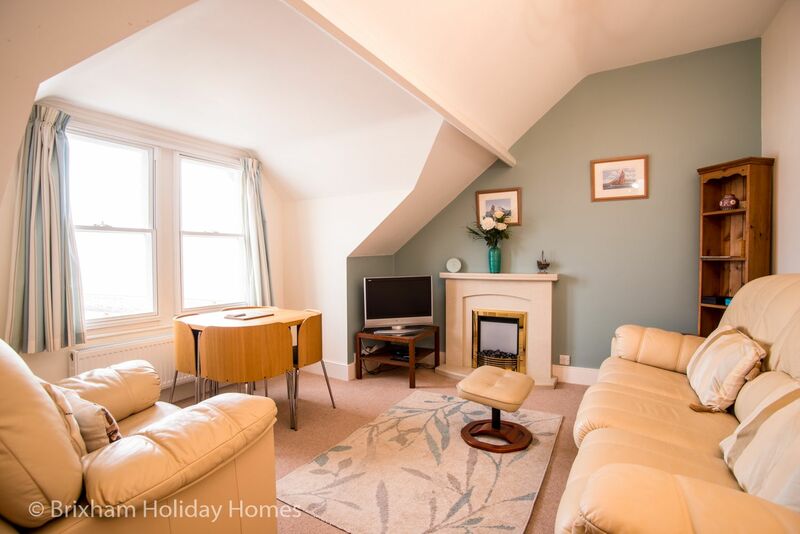 The great views & location, coupled with a rear balcony and dedicated off road parking space make this tastefully furnished & decorated apartment a real find. 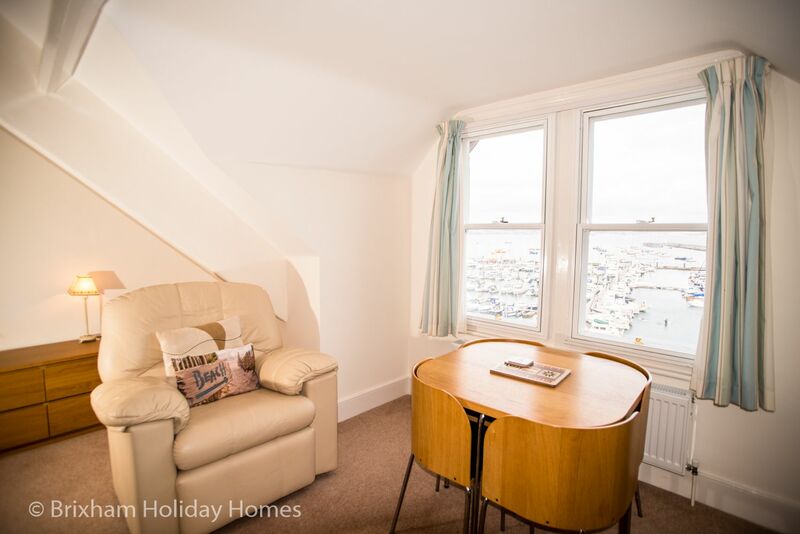 Let time drift by as you sit and watch the fishing boats and yachts come and go from the comfort of your lounge or bedroom windows. 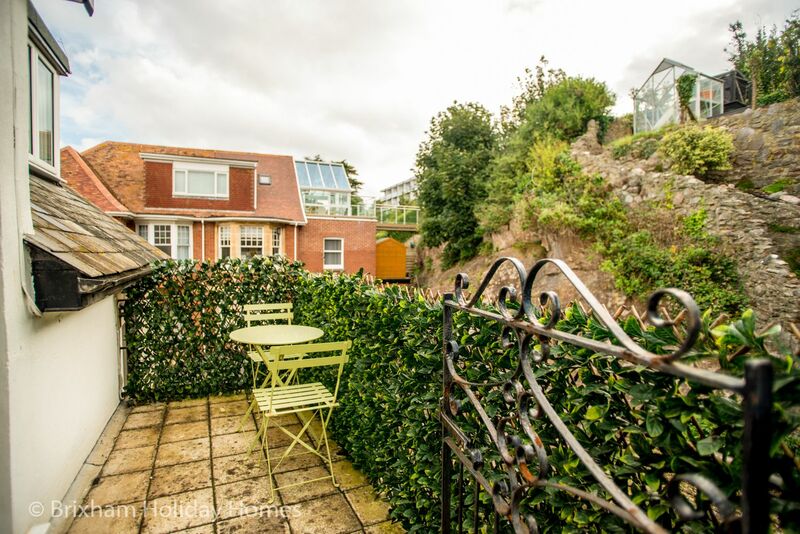 Conveniently situated on Berry Head Road you are just 2 minutes from Breakwater Beach and the Marina. 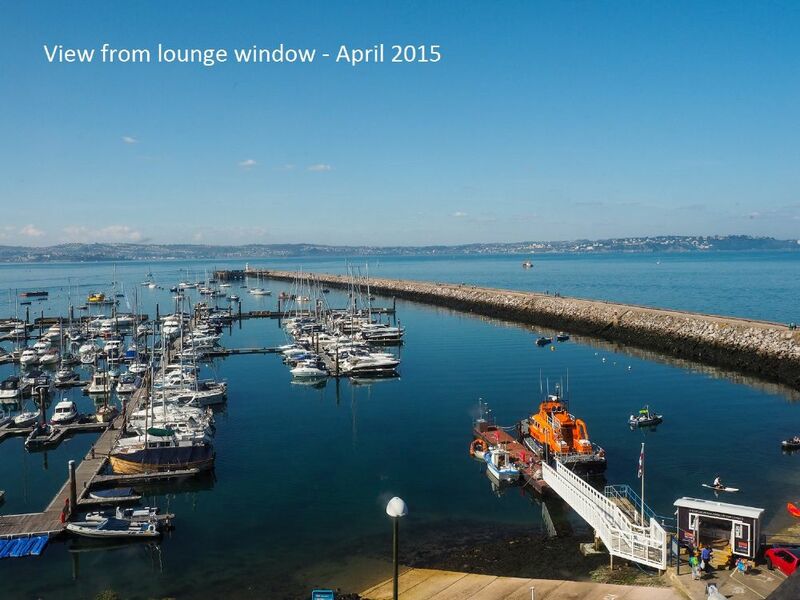 A 5 minute stroll takes you into the bustling heart of Brixham harbour with all its shops, cafes and restaurants. 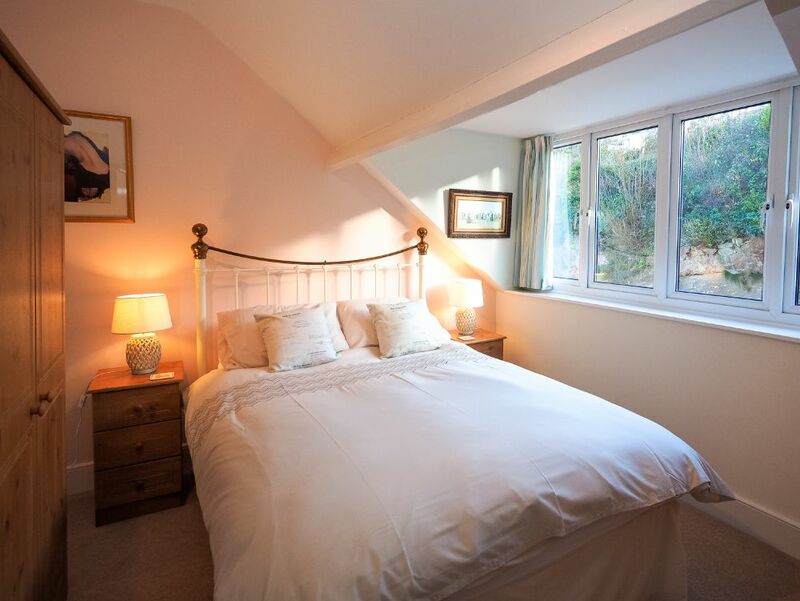 Short breaks of 2 nights or more are available all year except for the late May Bank Holiday week and the 6 week school holidays in July & August, where the minimum stay is 1 week. 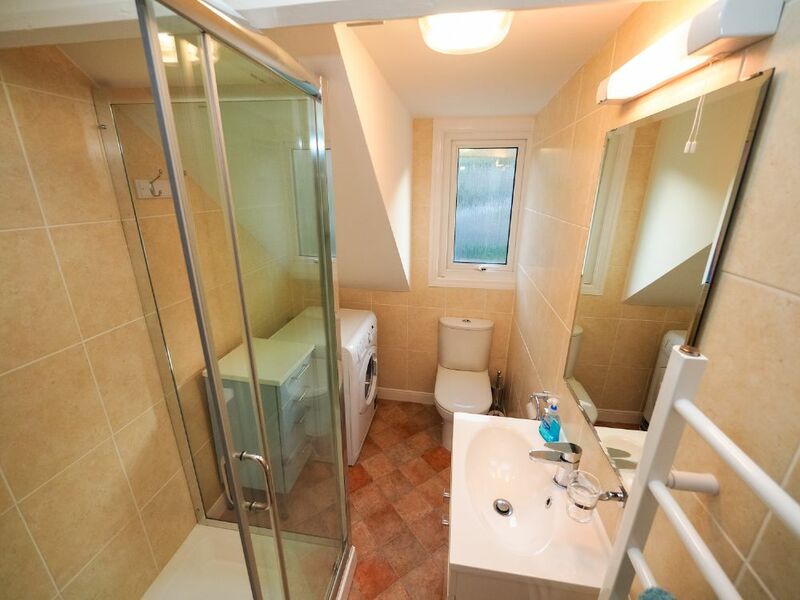 PLEASE NOTE: Access to the property is via 35 steps with 3 'landings' handrail and nighttime illumination. 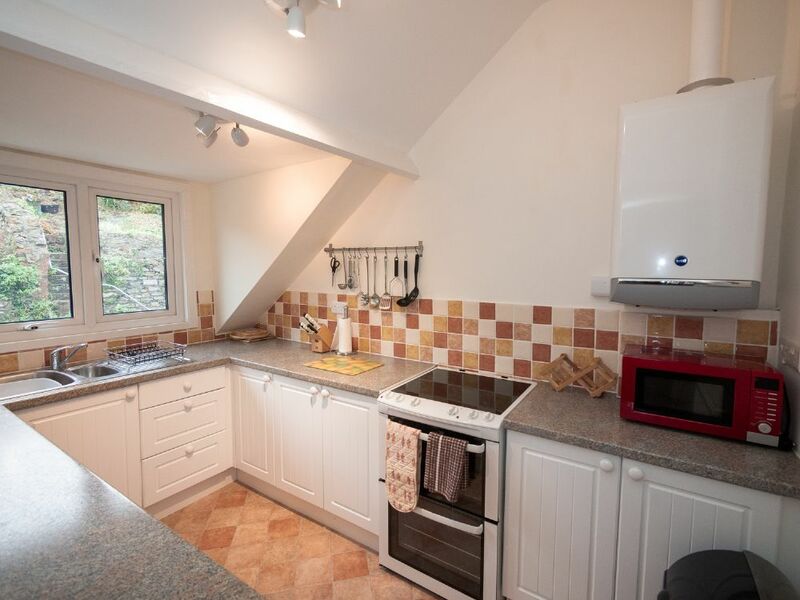 Well equipped galley style kitchen with an extensive range of utensils, crockery, cutlery & glassware. 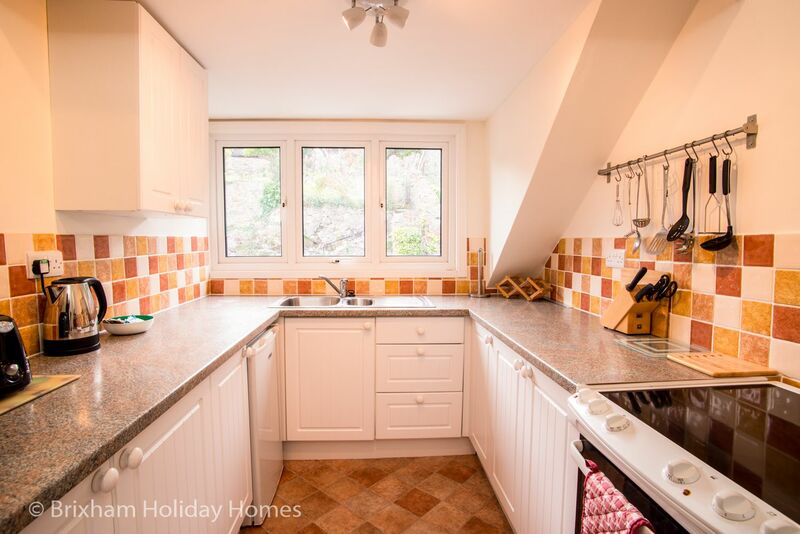 The flat had a beautiful out look over the marina,it was very clean and tidy on arrival, well equipped for our stay, we had a lovely week with great weather, Brixham is a lovely town and a good base for site seeing other places. The dedicated parking space is a big plus and the views are breathtaking!! 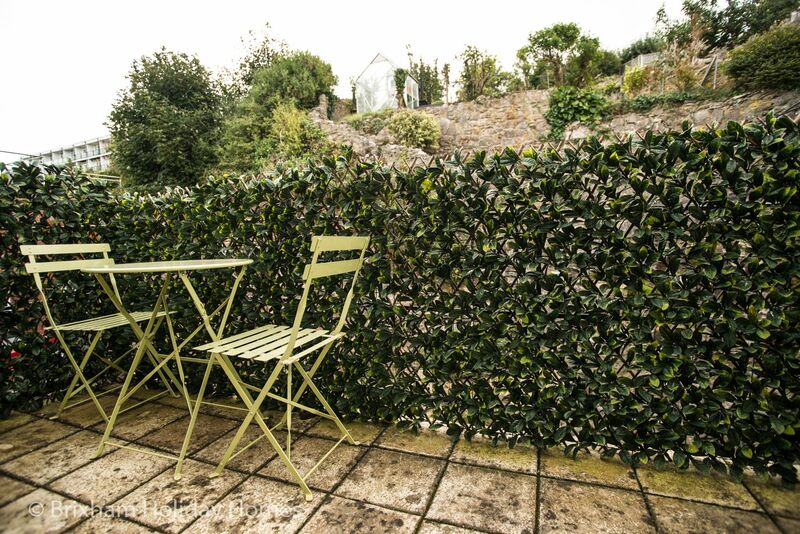 The table is set up to be able to enjoy the views which is so nice in the morning! 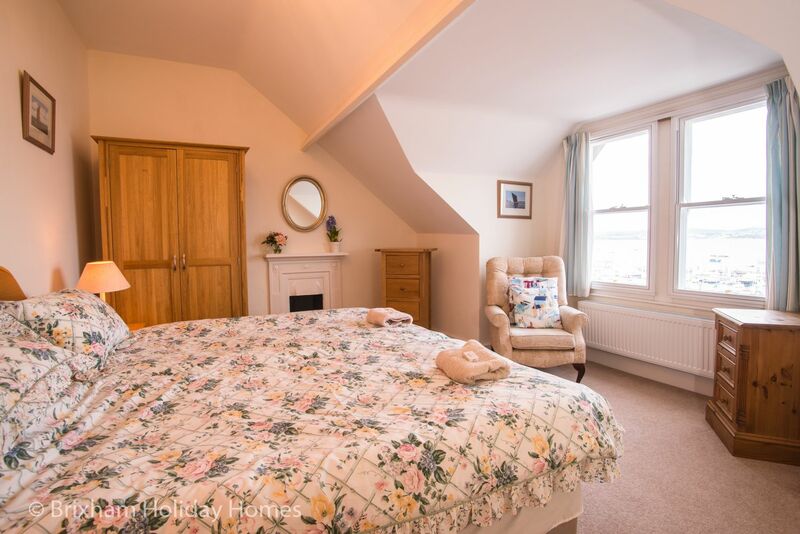 This is a top floor holiday apartment located on Berry Head Road in Brixham with uninterrupted views over Brixham Marina and Tor Bay. 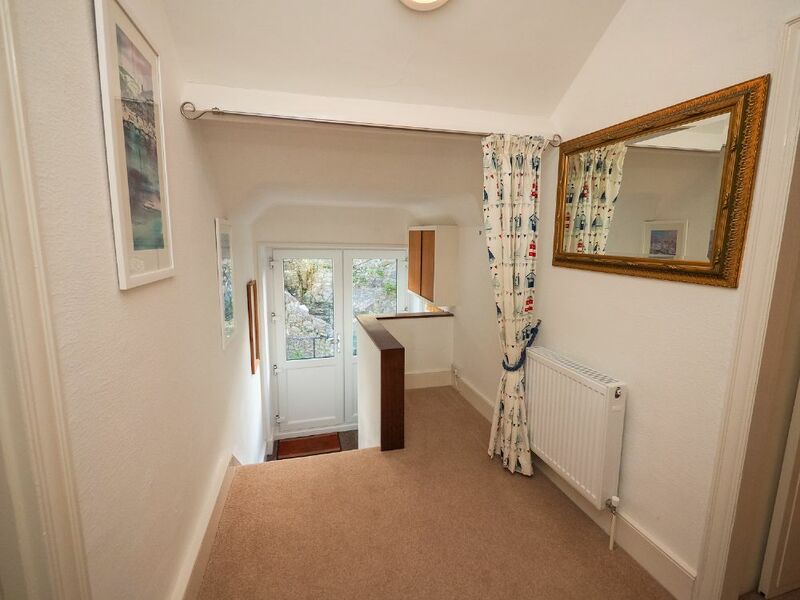 It is a 5 minute walk into the town centre.